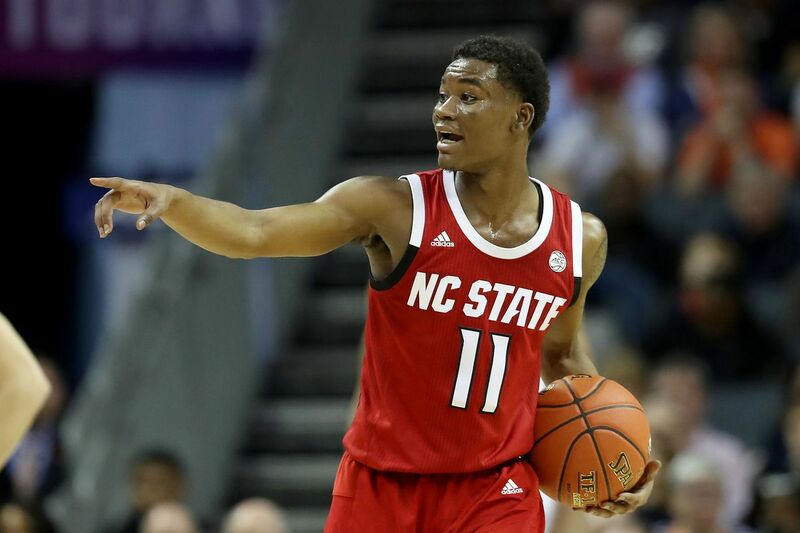 In not the most shocking news of the day, NC State junior guard Markell Johnson has thrown his hat in the ring for consideration in the 2019 NBA Draft. It’s a good thing that this system is in place. There is no harm, and only value, for him to go through this process. Hopefully he will learn where he stands with respect to the rest of the potential draftees. He is allowed to be “guided” by an agent during this time, just not officially sign with one. He will have the opportunity to work out for NBA teams and scouts, and at the very least gain feedback on areas he needs to improve on for next year. This makes NC State’s planned (and anticipated) backcourt in limbo until the end of May. Incoming 2019 recruit Jalen Lecque is also exploring his options. If both decide to withdraw their names, that would time nicely with a comfortable June. Yeah, let’s do that, make that happen. But also, hope that these two make the best decision that’s right for them and their families. We’ll know more as the pre-draft process develops.